self-made sound devices and mini robots. Ralf Schreiber works with minimal electronic circuits, solar-panels, motors and little speakers. His experimental and playful works generate soft sounds and tiny movements. 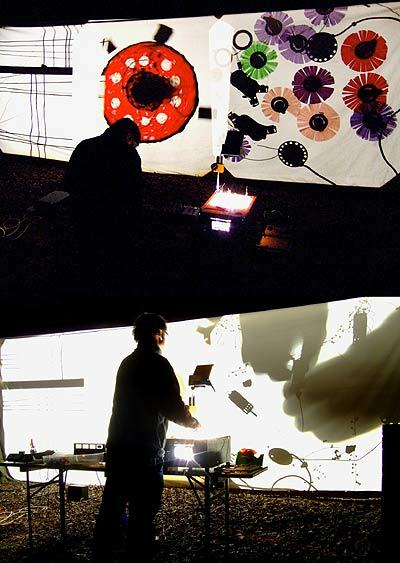 At the centre of his work there is long time project Living Particles, autonomous audio-kinetic installations in always new constellations of solar powered, inter-acting mini-robot modules. He finished his Master’s studies at the Münster College of Art and pursued postgraduate studies at the Academy of Media Arts in Cologne. He has exhibited in several galleries and international media arts festivals. All posts for the workshop are curently filled. 8 pm, at MM, SC, Savska 25.